Guardians of the Galaxy has officially shattered the August record for opening weekend box office by hauling in $94 million in only its first weekend. That makes it hard to believe that some people thought Marvel was making a mistake bringing a group of characters to the screen the average person hadn&apos;t heard of. That gamble has obviously paid off big time, and could mean good things for fans of other non-household-name Marvel characters, too. 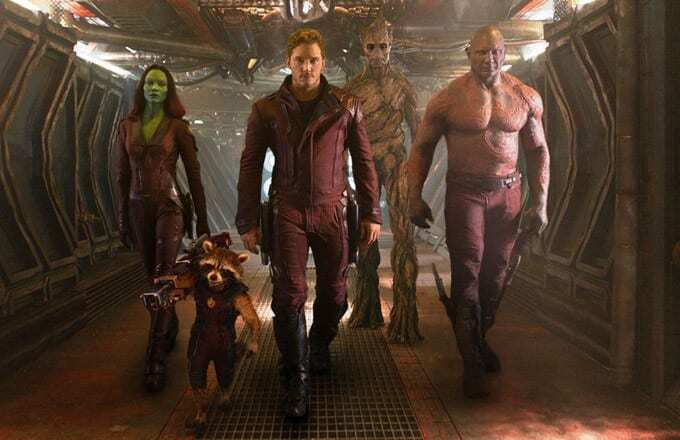 The film, starring Chris Pratt, Zoe Saldana and Dave Batista, plus a 100 percent digital raccoon and a living tree, voiced by Bradley Cooper and Vin Diesel respectively, far exceeded the studios&apos; own estimates. They were only expecting around $60 million to $75 million this weekend. It&apos;s also getting really good reviews, and a Guardians sequel is already planned for 2017. The other big film release this weekend was the James Brown biopic Get on Up, which had a respectable $14 million debut. It cost an estimated $30 million to make, compared to Guardians&apos; estimated $170 million budget.